Boating on the open ocean, lakes, or other waterways is a hobby enjoyed by many people in Texas. It’s a great way to relax and spend time with family or friends. Even though boats are relatively safe when compared to other modes of transportation, this doesn’t mean that boating accidents never happen. A majority of boating operators pay close attention to their surroundings while on the water and take their safety seriously. However, there are some boaters that are negligent and can cause accidents, especially around congested waterways. If you or a loved one was injured in a boating accident, contact a Houston personal injury attorney today to discuss your next step. Boating accidents can have many different injuries. 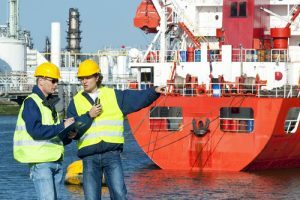 Some of the most common include the loss of a limb, injured while diving, sailors can be injured while working, exposure and illness, maintenance and cure claims, and wrongful death. Having an accident like this happen to you or your loved ones is a traumatic event. With most cases, a statute of limitations requires that the case be filed within a certain amount of time from when the accident occurs. After being injured in a boating accident, you might find yourself sinking in confusing and conflicting homeowners, medical, and boat insurance policies. Trying to handle and file all the paperwork, deadlines, and recovering from an accident at the same time is stressful and unnecessary. Letting a Houston personal injury attorney handle your case can help save you time that is best spent with those you love and recovering. The Law Office of D’Ann Hinkle is here to help you get compensated with what you need to be able to continue your life. Contact us today!